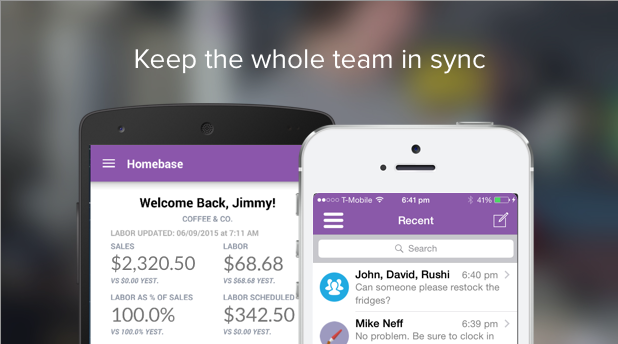 Homebase is the easiest way to track hours and schedule your team—for free! Homebase is used by the thousands of businesses to eliminate the paperwork of managing your team. Build a better schedule in less time: forecast hours and wages, track time-off, and view availability. Send to your team via email and SMS. 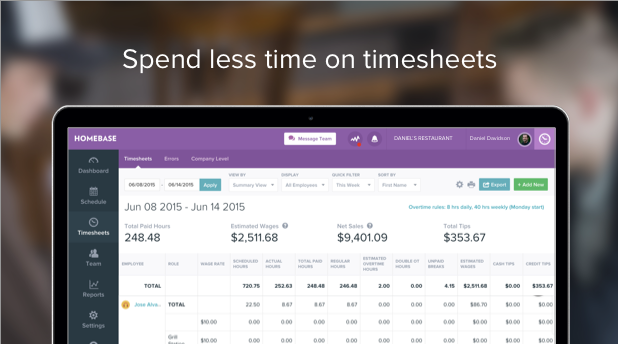 With the free Homebase timesheets you can complete payroll in less time: total hours, automatically identify errors and overtime, and export to payroll. Keep everyone on the team connected with our free mobile apps. View the schedule and message the team, no matter where you are. Manage labor costs in real time with sales versus labor reporting powered by the Lightspeed Retail & Restaurant integration.